When I started my first official apprentice job I knew that I would not stay there more than a year. Bad education, drama, a dog running around and client services averaging 5 hours with lackluster results turned me off. I always figured that my leaving would be based on witnessing one too many foil bleeds for my liking. My plan was to leave once I was certain my resume was solid, and nothing could stand in the way of my next apprentice job. Everything was set. Yet I found myself sitting here in a daze, having just quit my job, without a clue as to what my next move will be. I soon forgot all about the Brazilian Blowout while I concentrated on my studies. Months after graduating, a former classmate of mine mentioned she was doing the blowouts for the salon she worked at and consequently was making good tips. I found myself starting at the same salon that January as an assistant every Saturday. Excited about my first apprenticeship, I dove in with drive and determination. Anything that was asked of me, I did without a second thought. A few weeks into my start there, I noticed how my eyes would burn terribly when the stylists would start taking a blow dryer to clients’ hair after the Brazilian Blowout formula was applied. My eyes would burn so bad that I had to step away into the stockroom. By the time the stylist moved on to the flatiron step, the clouds of fumes from the product were overwhelming. For those unfamiliar with the Brazilian Blowout procedure, the formula is applied to damp hair that has been shampooed with specific shampoo. From there the hair is dried, with the formula still on the hair, then flat ironed at 450 degrees before being rinsed out of the hair. Around this point, the salon was getting ready for an anticipated influx of clients from a Groupon that had been run earlier, offering Brazilian Blowouts for nearly half price. Seeing as the service averages around three hundred dollars, sometimes more, this deal attracted droves of consumers. Instead of being known for a salon that focuses on hair color, we became known as the salon that does Brazilian Blowouts. The majority of clients booked every day were there for that service alone. Clouds of fumes would linger in the loft-style salon above our heads, and no amount of open windows would quickly dissipate the vapors. The heat from the dryers and flatirons was altering the state of the formaldehyde so that we were inhaling the chemical in excessive quantities. Once the month of March rolled around, I had been moved up to full time hours. I was the only apprentice and my shifts were long and grueling. I was ecstatic, though, because I had waited so long for this moment. My frustration, however, was mounting because I had been feeling frequently ill. By the 21st of the same month I had to call out sick. I felt horribly guilty and disappointed in myself for not being able to go to work. My feeling sick became frequent and worse each month. It came to the point where twice in one month I would be out sick for several days at a time. I could barely get out of bed. I had constant, extreme and inexplicable nausea. I would become dizzy, coughing often and enduring sinus congestion unlike any sinus infection I had ever experienced. I felt so miserable and frustrated. Visiting the doctor was never ideal. In my circle of peers we often start out with incredibly low wages and no insurance in this industry. We use resources like walk-in clinics should we have the misfortune to need medical attention. So I would walk over a mile to my regular doctor at the nearest clinic, wait for hours to be seen and leave with antibiotics for what we initially thought was a persistent, off the charts sinus infection. It seemed plausible to me, as I have a history of severe sinus infections, but no one had a good answer for my current and constant nausea. It became so severe that I would stuff plastic bags in my purse in case I should need to vomit in public, and had several close calls on the PATH train into work every day. As time progressed, my boss would have me finish the Brazilian Blowouts she started on clients for her. I would grasp the hair with the flatiron as I inhaled clouds of fumes. The hair would smoke, emitting the toxic vapors right under my nose, into my eyes and lungs. Clients would often tip incredibly generously for this service and I was amazed that one tip from a Brazilian Blowout would be more than I made in a single day from my flat rate salary. I understand the financial reasons many stylists give for wanting to continue offering this service. The last day of May I became incredibly ill. I was consumed with sickness and called out from work. I went to my doctor at the clinic and he saw how irritated my throat was. I could barely swallow. He mentioned that something in my environment was irritating me, causing what appeared to be a sinus infection by clogging my sinuses on a regular basis. I took my script for antibiotics and walked by home in deep thought. Since the moment I started my apprenticeship I purposely avoided every single article, every single research attempt, regarding the effects of the Brazilian Blowout. All of the studies I knew were surfacing, all of the controversies in the news, I ignored because I was too scared to admit the reality of the situation. Nearly every day for months I was surrounded by Brazilian Blowouts and now I was terrified. Several days later I went back to work, only to become sicker than I had ever been since I started there. I left work on a Saturday night in June and collapsed into bed. I could barely breathe, wheezing out struggled gasps of breath as I clutched my pillow in fear. The next morning I went online and finally did the research I had been so afraid to do. I went back to my doctor and told him what I suspected. He looked completely horrified and did an examination. I discovered that I have formaldehyde poisoning, as I have been over-exposed to excessive amounts of formaldehyde without proper ventilation. In addition, I have now developed asthma and have to use an inhaler on a regular basis. My doctor explained to me the horrors of formaldehyde. He mentioned that for a while I may have difficulty around basic household chemicals, as my body is in a reaction stage from the formaldehyde and I am now overly sensitive. Then my doctor told me the next time I am around the Brazilian Blowouts it will only make me sicker. “I know this is your apprenticeship and you are working for your future, but this is formaldehyde. You shouldn’t be around it anymore,” he said. I knew he was right, and I cried the entire walk home. My throat is raw and sore, my sinuses are clogged, I cough constantly and have difficulty breathing. I cough up strange forms of phlegm and my voice is strained. I am overcome with nausea and often feel dizzy and fuzzy. I have a hard time being around hair color and nail polish these days. In time, I hope that passes. I worry for my health, including long term affects, as formaldehyde is a human carcinogen. But mostly, I am angry. My health has been compromised all so that the owner of the salon I worked at could make some extra money. She refused to spend money on a ventilation system. To this day, the Brazilian Blowout company denies that their product contains formaldehyde, just as my former boss denies the reasons I am sick. OSHA has done studies proving that the Brazilian Blowout product does, in fact, contain formaldehyde at levels unsafe for humans. The FDA is aware of the situation, but is bound by certain laws and restrictions. Therefore, stylists affected from this, such as myself, are encouraged to report these specifics to the FDA Medwatch. The more information presented, the more they are able to build an effective case against the Brazilian Blowout company. The main reason I created this blog entry is for other stylists who have been affected from over-exposure to Brazilian Blowouts. I have found, in all my research, frustration that there was no place to go and hear from other stylists in similar situations. There are news articles, but not much beyond that. I won’t speak for the other stylists at the salon I worked at, but I do know I am not the only person from there to experience symptoms as a result of this product. I strongly encourage fellow stylists to take care of themselves and reconsider performing this service. It may be lucrative, yes, but I can’t see it being worth the health risk. I know for myself that no amount of money can ever get me to go near this product again. I have officially quit my job. The road ahead is uncertain, because I don’t know when I will feel well enough to even start a new apprenticeship. Until then, I try to freelance to supplement my income, but it’s hard to find steady clients. As for my health, my doctor explained that every body is different. It could take two weeks, or it could take two months before I start to feel better. This excludes long term affects that have yet to be seen. In a few weeks I will go back to the doctor to see how I am progressing, and we will go from there. 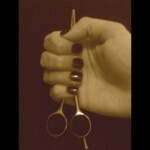 I encourage comments and discussion, especially regarding other stylists and clients who have had adverse experiences. The timing may not be as I had planned, and neither are the circumstances, but I know I made the right decision to leave the salon. I sincerely hope that my efforts contribute to protecting the health of other consumers and stylists in this industry, so they are not affected by exposure to such a toxic and harmful chemical in the constant quest for perfect hair.